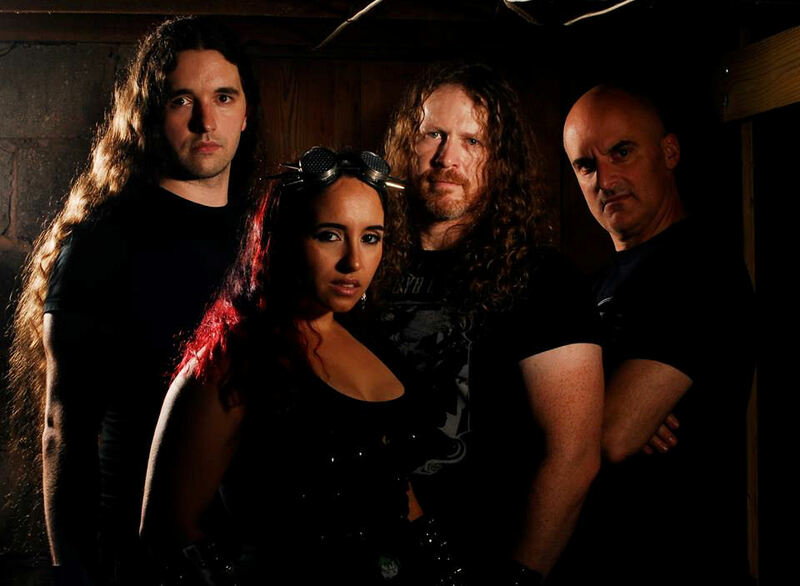 A decade after its birth in the Washington D.C. area, A Sound of Thunder is about to birth its seventh full-length studio album, It Was Metal. All of the band’s records have issued in a seven year span beginning with Metal Renaissance in 2011, Out of the Darkness in 2012, Time’s Arrow in 2014, The Lesser Key of Solomon in 2014, and Tales from the Deadside in 2015, and Who Do You Think We Are? in 2016. Interspersed between these albums have been three more Eps; Queen of Hell in 2012, Tales from the B-Side (Pleasure Slave) in 2015, and 2017’s Second Lives. The band, which consists of vocalist Nina Osegueda, guitarist Josh Schwartz, drummer, Chris Haren, and bassist/keyboardist Jesse Keen have been nothing short of prolific, and in an age where band members change with the frequency of cellphone carriers, A Sound of Thunder has maintained its line-up through each recording. 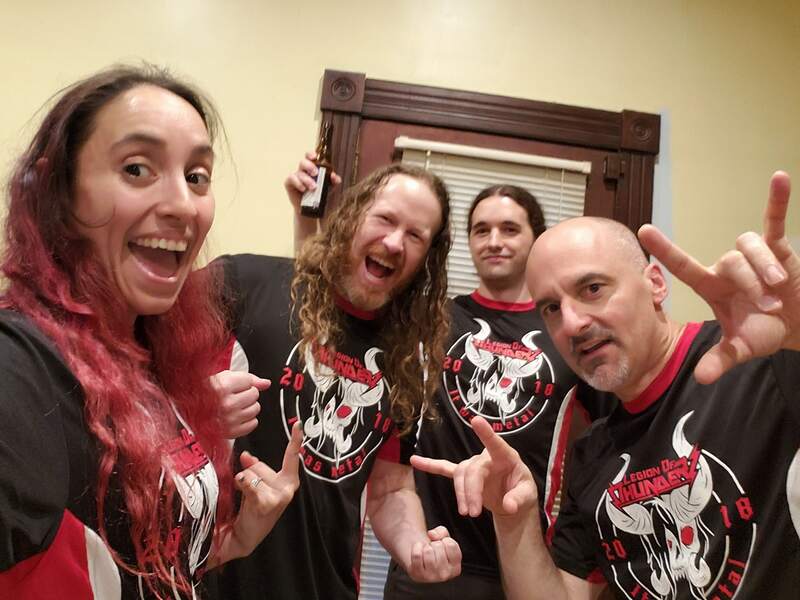 Despite its wealth of material, A Sound of Thunder has never released subpar music, and the truth of this can be found in the staunch support of the quartet’s legion of fans that have loyally supported each of the band’s Kickstarter crowdfunding campaigns. In fact, their fans have helped make them the #1 supported metal band in Kickstarter history. This speaks to the quality of music that A Sound of Thunder creates. In return, the band puts all of the money it makes through these fan-driven campaigns back into providing more for the fans in the form of Kickstarter only Eps and unique merchandise, as well as adding amazing artwork, comics, and or a graphic novel to go with many of their albums, including It Was Metal. The band’s commitment to its fans and music, as well as the strength of its new record made it a no-brainer for Metal Nation to select A Sound of Thunder as its June 2018 Artist of the Month. We recently spoke with the band as they were spending a Sunday autographing materials for fans prior to the June 15 release date. It’s not often all four are present for an interview, so it was a special honor to catch up with them to discuss the new record. It Was Metal seems to have a nice balance of the band’s various light and dark elements, but with an emphasis on that driving energy. That was sort of the goal and direction with this record, correct? The album opens with the beastly track, “Phantom Flight” which features guest vocals from Accept frontman Mark Tornillo. How did that all come about? The entire band talk in depth about the impact of their single, “Els Segadors (The Reapers)” and the viral impact of its video in support of Catalonia. The video was created in one day by their dear friend Vicky Ryder, and the response to it resulted in a European mini-tour which placed them on stage in front of 50,000 new fans on the tour’s first stop. They also spoke about several other tracks on the record, and were asked if each had a particular track on It Was Metal that spoke to them a bit more than the others. And it’s a very empowering song for women when you know the backstory to it.